What’s even better than a Baby-Sitter’s Club story filled with fun and friendship? That same story turned into a graphic novel by cartoon queen Raina Telgemeier – author of Smile, Sisters and Drama. Do say OMG! So: here’s the book where it all starts. 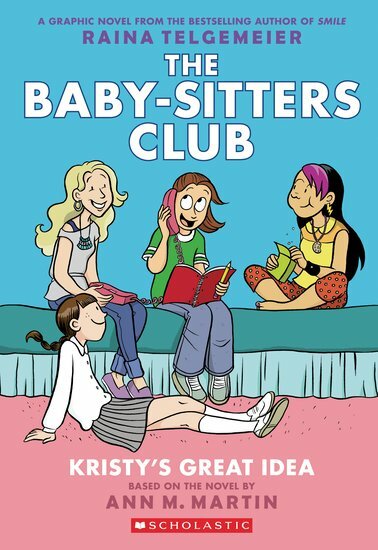 The one where Kristy has the great idea of setting up the Baby-Sitters Club. Errr – hang on. Strict parents, cranky kids, timetable clashes, fashion disasters. Was this really such a great idea? IG290L Lexiles are the global standard in reading assessment. They are unique as they are able to measure a child and a book on the same scale – ensuring the right book gets to the right child at the right time. excellent book!Loved every page of it!I recommend you this book because you just cannot put this book down as soon as you start reading it.